Encounter three miles of wilderness paths through aspen forest along the shores of Lake Manitoba. 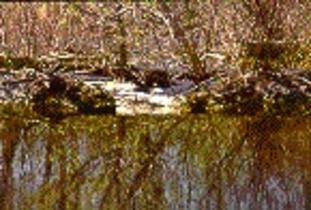 Skeins of pelicans, beavers and whitetail deer can be observed. Woodland trail is a haven for cavity nesting birds including the rare red-headed woodpecker. A restored historic Anglican church is adjacent to the nature trail. Location: 1.6 km/1 mi. from Margaret Bruce Beach near Alonsa.